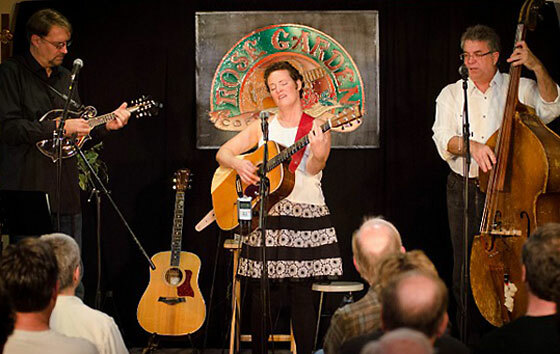 Saturday’s show with The Mary Maguire Band at the Rose Garden Coffeehouse in Mansfield offered a mix of music, from bluegrass, to swing to folk to a touch of MoTown. 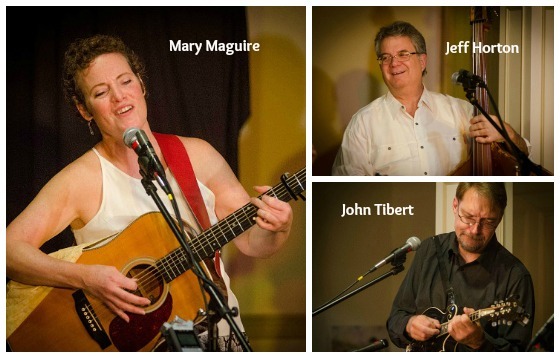 Maguire, with her longtime singing partner Jeff Horton and group newcomer John Tibert, performed a set of original tunes mixed with songs by contemporary folk singers like David Mallett, swing from Hank Williams and 70s classics. The band has a solid vocal mix, with Maguire and Horton playing off of each other’s ranges. 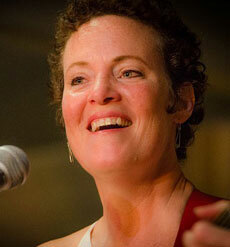 The pair often teach harmony workshops together at festivals like the Grey Fox Bluegrass Festival. So their voices blend automatically. It’s nice to hear them perform what they preach, with Maguire’s somewhat deeper voice playing off of Horton’s playful vocal range. Instrumentally, Tibert is a fine addition, adding appropriate, tasteful mandolin leads and a third voice. He even played guitar and sang an original country number. Overall, I wasn’t sure what I was going to think of the band, having not seen them before in this fashion. I knew I enjoyed music by Maguire, and Horton was familiar as a former member of the progressive bluegrass band Northern Lights and other bluegrass incarnations, including the Neon Valley Boys. And, of course I had heard them during festival workshops. But this was a first for me seeing them performing an actual two-set show, and I have to say I was pleased with the results.